Can you imagine an underwater garden inside your home? It may sound impossible few years back. But that is what technology, imagination and creativity can do. And yes, we are talking about Aquascaping. Aquascaping is not rocket science. If you follow this simple step by step guide then you can create an underwater garden all by yourself. So, stay tuned! 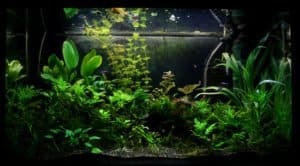 Aquascaping is a form of art (I really think it’s an art) wherein you are going to set-up, decorate and arrange aquatic plants in order to form an underwater garden. It also includes stones, rocks, or even woods arranged in an aesthetically stylish manner. Sometimes, to make it more appealing, some artists also include fish, other kinds of plants, mini rock formations and carve work. 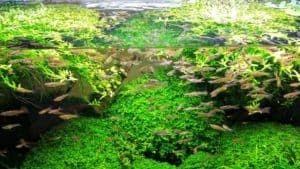 As a beginner, you may find Aquascaping difficult and tiring. Indeed, putting design in an aquascape is really challenging. But, once you get through all of these, the product of all your hard work will be priceless. First is just to keep it simple as much as possible. It is unusual to see different kinds of rocks in one place. However, when it comes to the plants, it is typical to see one kind of plant dominating one place. The contrasting idea adds up to the challenge. 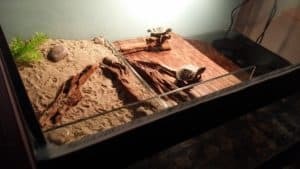 It is advisable that you focus on one form of rock, fish or plant first to make it more realistic Otherwise speaking, it is more appealing to the eye if you are going to use one type of plant and one type of rock as well. The aquascape will look more diverse and natural. Most importantly, before starting your aquascape project, you must know the style you really want to do. When you browse the Internet, there are a lot of styles you can start with. You just need to choose the style which you think is alluring to the eye. You can choose from a wide range of international inspired styles and a lot more. Harmony is one of the most essential aspects in making this kind of art. 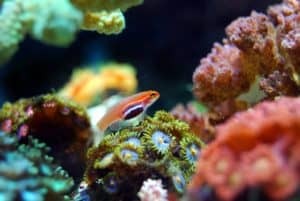 It is difficult to perfectly balance the atmosphere among the plants, rocks and other items, and the fish in the aquarium that fills the empty spaces. The contrasting balance between light and dark depends on how you are going to arrange the other plants, wood, and rocks. No definite rules are being applied in aquascaping. In other words, you can use your imagination without limitations. Let’s say that the aquarium you will be working on is a piece of reality. Close your eyes then imagine yourself standing on the side of a riverbank. You can easily picture inside your mind what is a natural art really looks like. Then, put your imaginations into reality and add some touch of creativity. You may find this one really easy, but there are a lot of things to consider before you find the perfect plant that will fit in your taste and match with your aquarium. 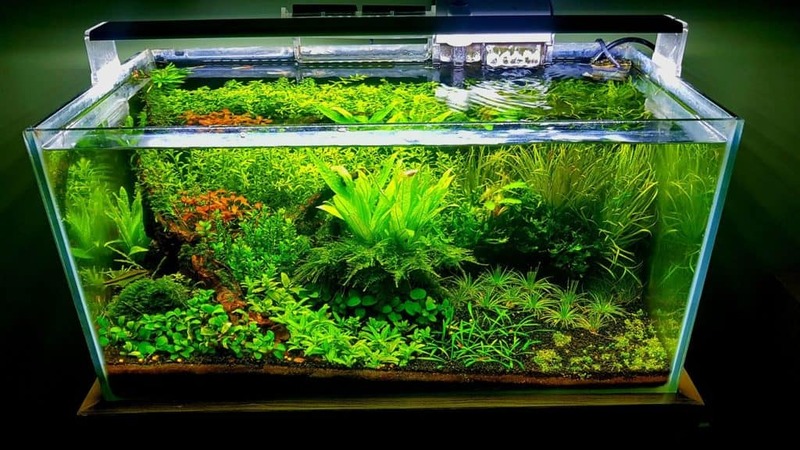 Just like the time and effort you spent deciding on what fish you are going to include and other tank equipment, choosing the best aquarium plant also needs wide decision making. Aquatic plants are the most appealing decoration for your aquarium. They have different types, forms, purpose, and effect in your water garden. Aside from that, you also need to know how to take good care of them to avoid complications in the long run. So let us start discussing on how you will be able to come up with the best choice. Ask yourself, what you really want? The first step is always the most difficult part. Why? Simply because it is the most important and the basis for the other decisions you are going to make. You will surely spend time thinking what plant are you going to use. You may ask yourself, what will be the purpose of this plant or do you really need that one? Change CO2 into oxygen which is very healthy for any kind of fish. Beneficial in removing different chemical products which causes suffocation for fishes. Decrease the level of humidity pressure produced in the tank. 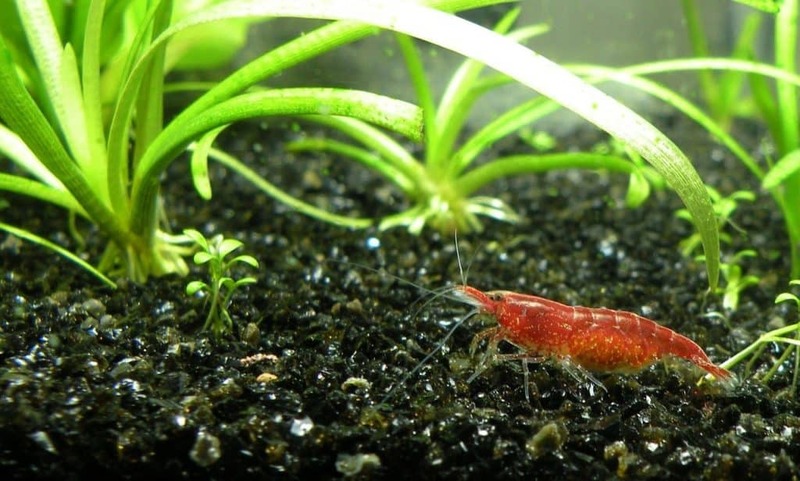 Gives you natural, realistic, and more diverse look for your aquarium. Serves as shelter for fish and other aquatic animals. Aquatic plants are great addition for your aquarium. It can help a lot in maintaining the cleanliness and quality of the water in your tank. After discussing the effect of plants in your aquarium, you may start deciding which plant you are going to use. 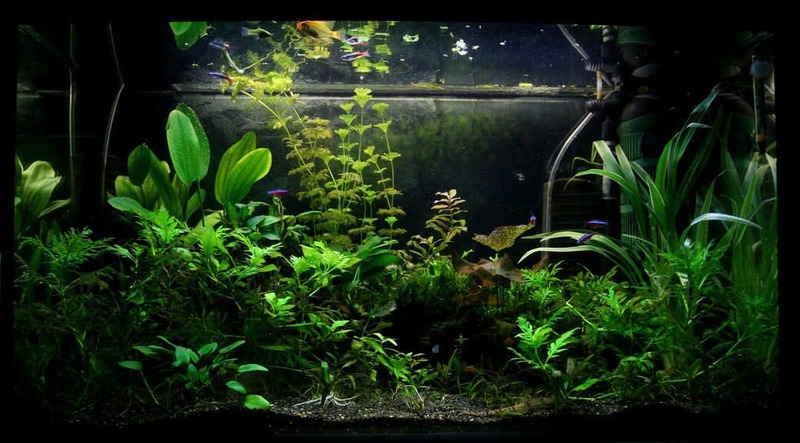 There are three different types of plants divided according to their position in the aquarium: Foreground plants, Mid-ground plants, and Background plants. The first one is the Foreground plant. They are placed in front of the aquarium. Usually, they are shorter than the other and it grows quite slow. Sometimes they are also called as carpeting plants. They have the ability to spread on the tank and cover the bottom part of the aquarium substrate. Next, the Mid-ground plants which are basically taller than the Foreground plants. It is commonly positioned on the sides, as well as in the center. It can contribute a lot to the natural appeal without occupying a lot of space. Last are the Background plants. These are the largest plants in the tank and placed at the back. It can be a realistic background and will serve as a hiding place for fishes. The substrate that you are going to include in your aquarium also matters. As mentioned, using live plants will be beneficial to maintain the nutrients present in the tank as well as the quality of the water. If you want your plants to grow well, choosing the right substrate to put in your tank is another important thing to think about. A common tank with fishes only uses sand or even gravel as their substrate. But, tanks with plants need substrate mixture for the plants to grow. You also need to measure how many plants you will be using before you decide on the amount of substrate you are going to put inside the tank. Just like humans, every living organism inside your tank needs light as good source of energy. In the process of photosynthesis, plants need sunlight to change CO2 into energy. 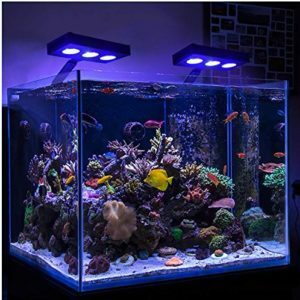 Lightning for aquarium is very ideal and there many different kinds to choose from. But the problem is, not every kind will fit in your tank. For example you are using live plants; it needs sufficient amount of light for eight hours every day. Another complication might come up if you use natural light because too much exposure from it will surely help in the development of algae. It is advisable to use LED lighting for aquariums with fully installed plants. This type of bulb will not produce unnecessary level of heat that might cause your tank to overheat. It is cost-effective and applicable for long-term usage than any other type of bulb. Aquascaping as a form of art is being popular nowadays. Many people were fond of installing this in their houses because for them it creates some kind of pleasant atmosphere. If you are new to this, you will surely have an enjoyable time and experience. After the basic principles about Aquascaping, now you are going to learn the step by step process of making an aquascape. Once you’re done gathering all the materials that you are going to use, follow the steps below and you may begin building your aquascape. First, you need an aquarium. Decide in which part of the house you are going to place your aquascape then set up the aquarium. Second, make sure to wash your materials. All your carve wood, rocks, substrate, as well as your filter before you put them inside the aquarium. Third, manage placing the substrate. It is advisable that the first layer or the base of your aquascape is thicker than the upper layer. By making this, the other land forms that you are going to create will achieve its prospective design. Next, position your plants and start designing your hardscapes. Properly arrange the decorative designs of your aquascapes. Always remember that you need to leave sufficient amount of space to make sure that the plants will still grow and allow fishes to move around. Lastly, you need to monitor the temperature of the water. Proper temperature will allow plants to grow and after that you can start adding fishes. This guide may not be everything but a good basis for you to start. When it comes to Aquascaping, it does not need to be perfect just to consider it as an art. While doing this, you might get disappointed and unsatisfied on how it comes out but you do not need to stick on what you have originally planned. Along the process, you can rearrange or change things up to the point where everything is right. This form of art is merely about your imagination and creativity. Therefore, feel free to bring out the imaginative side of you and start creating wonderful aquascape!